There is something enchanting about Ireland, the land of Saints and Scholars, in fact the slogan here is that Irealnd Inspires and it truly does. Within Ireland, Wicklow is especially charming with the sweeping hills and glassy sea views. Returning home to Ireland after many years of living in America, Dr. Nadia Ramoutar has designed this unique retreat to lure us away to tranquility for a few days allowing us to reconnect with ourselves and to connect with other caring people in the Garden of Ireland. This retreat is ideal for you to take brave, beautiful and enchanted steps on your journey. 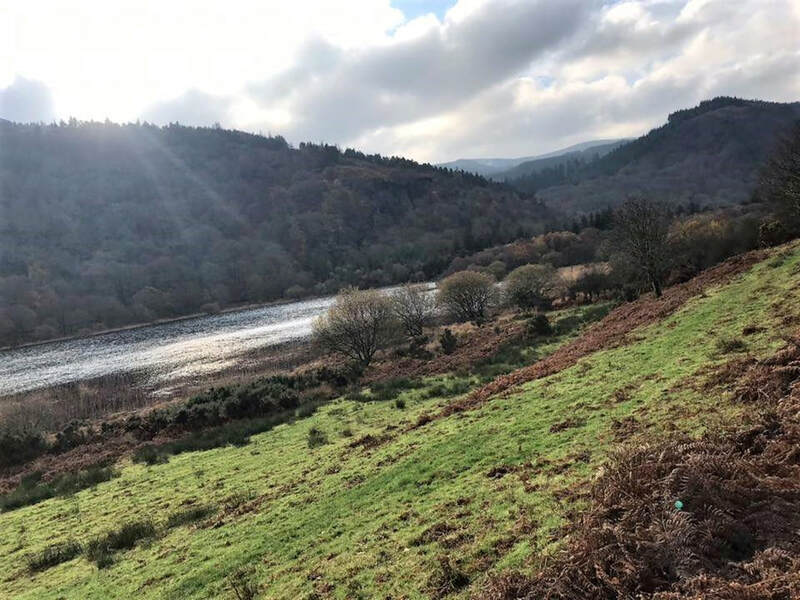 Immerse yourself in beauty, culture, ecology and self awareness as you join us for a highly transformational four day and three night interactive retreat at a 71 acre ecological haven in Wicklow Town, Co. Wicklow, Ireland. An intimate event setting, the size of this group will be limited to create a cozy experience. If you would like to attend please go ahead and confirm or we will not be able to secure your place. In this historic space of tranquil and beautiful convent land nested in the mountains and overlooking the Irish Sea, escape and rejuvenate from the busy demands of daily life. invest in your own well being and creative expansion. Experience the vastness of time, the enchantment of the Southeast of Ireland and the inter-connection of all life. Join Dr. Nadia Ramoutar in the experience of a lifetime to examine and explore your own path. Explore your greater purpose and embrace what guides you to welcome your success and to focus on what you desire most. Led by experienced and compassionate creative facilitator Nadia Ramoutar, Ph. D you will have an excellent opportunity to be part of this fun, memorable and dynamic program based on best practices of creativity, research and personal success skills. Dr. Ramoutar is a communication expert, writer, fillmmaker and artist. A former college professor, she is an intuitive, intelligent and creative facilitator who helps people and organizations reach challenging and often difficult goals. Overseas guest can get assistance with travel arrangments and additional plans to see other parts of Ireland or Europe before or after the Retreat. The retreat will begin at 6 pm Monday, June 3, 2019 (This is a bank holiday Monday in Ireland) and will continue until Thursday, June 6 at 4pm. Farm to table organic meals will be included, workshop supplies, and your accommodation in the €495.00 retreat fee. 50% is due as a deposit to secure your place and the remainder can be paid by May 13, 2019. A day rate attendance rate is possible if you do not want to stay at the location. Please reach out to Nadia for details on how this can be achieved. ​Who is this retreat designed to welcome? For those flying into Ireland for this workshop, please plan to use Dublin Airport unless you would like a cross country experience before the retreat. There is much to do and we are happy to help you create a special experience. Here is a link to An Tairsearch so you can have closer look at the unique venue we were very fortunate to visit.